4.about the size and packing ,we can do it according to client's demands. 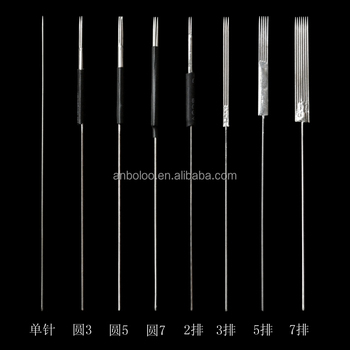 5.if you need the specifically type taper and diameter, please contact with me ! bulk products will be shipped by sea. We can offer OEM service. Founded in 2006 in Hefei, with a register capital of 10 million Yuan, Hefei Anbolo Medical Instrument Co., Ltd, is a professional manufacture of all kinds of tattoo instruments, such as tattoo needles, tattoo machines, tattoo pens, tattoo books, practice skins, and many other items. We have a professional R&D team and we can make all moulds by ourselves, therefore, we can offer OEM service. Our products are selling to America, southeast Asia and Erope and other regions. Hefei Anbolo Medical Equipment Co., Ltd.